It is important to get as much history as possible from the rescuer or member of public that hands over the orphan. This will help you to make the right decisions on how the joey should be handled. When a new orphan first arrives you need to be aware of everything you do. Don’t forget the wombat will not be used to your environment! 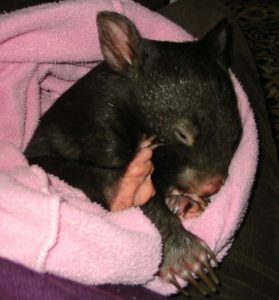 Be aware of household noises, the wombat will not be used to these new surroundings. 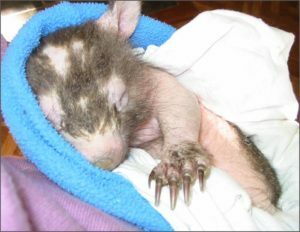 If the wombat has just been orphaned/injured. Maybe it will be best left alone for a few hours in a warm, quiet, secure environment. This will give it time to settle. Gentle massaging with warm hands to stimulate blood flow. 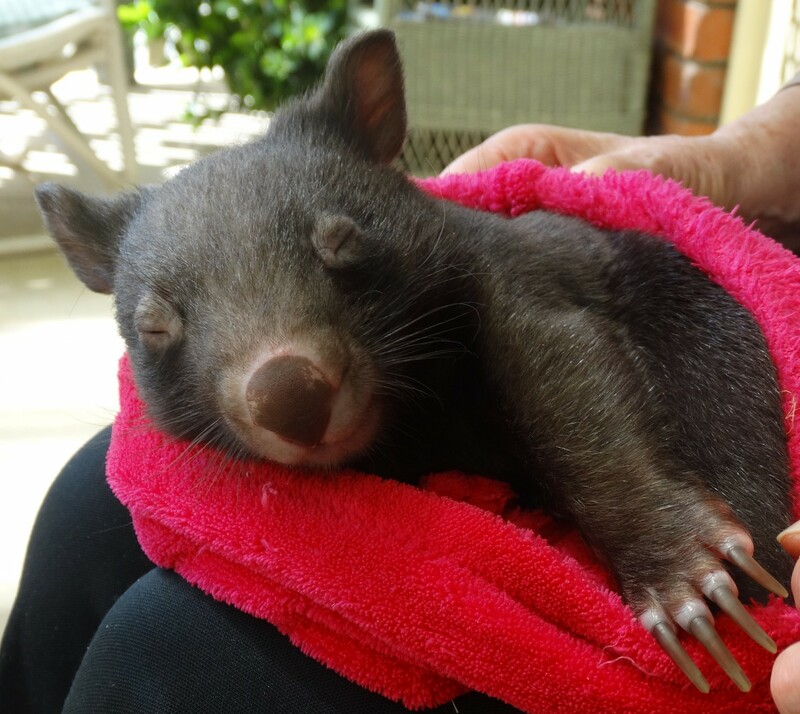 Your wombat may not be feeding well because of STRESS ! Are you handling it correctly? Make sure your baby is warm, secure and wrapped snug in a pouch. Are you housing it correctly? 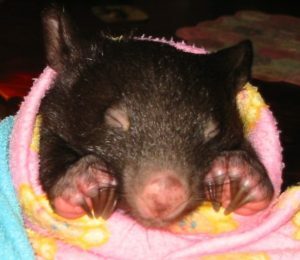 Relaxed little wombats snug and secure in their pouches.